No one in their right mind would enjoy sharing their property with a bunch of bugs, rodents, and animals. We're guessing you don't either. Vallejo Pest Control helps ease our customers minds by ensuring them that their problems will soon be forgotten after we come out to banish the pests from their property. What kind of pests are you dealing with? We take care of just about all of them. Some of our more regular calls when people call our pest control company are for: bed bugs, cockroaches, spiders, ants, beetles, fleas, rats, mice, moles, skunks, raccoons, possum, and much more. You can also call us anytime to get a free estimate at (707) 200-6638. We're kind of a do anything and everything related to pests kind of service. We do pest inspections, exterminations, trapping of animals and release, repair damages, and prevent future pest problems by spraying, and more. We like to be involved with our customers and help anyway that we can. No matter where you are in the process, we are able to help in any way possible. Whether it be just be for identifying the species of pest you are dealing with, tips on how to get rid of them, or to call us out for an inspection or service, fill out our form or call us at (707) 200-6638. One of the reasons this company even started in the first place is due to the fact that not many local pest control companies do all types of services. Some focus on rodent control, others on termites. Entire companies are built on being a bed bug exterminator, and some are on call for animal control. NOT US! Vallejo Pest Control does it all! ​Having 20+ years in the industry, the owner Mario has picked up the skills to deal with any type of bug or animal that residents and businesses come to face with. And her knowledge has been shared to every worker that joins the Vallejo Pest Control team. We do all of the work ourselves. There will be no passing along the work you need done to someone other pest control company. We can the inspections, the treatment, cleanup, and if there is damages caused by insects, animals, or rodents, we do the repairs ourselves. We are all properly trained, bonded, insured, and licensed to do pest control in the state of California. All of our staff who are available on the phone are very professional and knowledgeable, and are capable of answering any questions you have. Call (707) 200-6638 now to get an estimate over the phone. Our pest control company has a pretty wide radius of cities that we serve. If you have found our page, chances are we serve your city. Here are some of the cities we frequent the most for pest control: Benicia, American Canyon, Cordelio, Martinez, Pinole, Hercules, San Pablo, El Sobrante, Pacheco, Fairfield, Concord, Pleasant Hill, Pittsburg, Napa, Tormey, Selby, Crockett, Port Costa, Rodeo, Mococo, and more nearby. No matter where you're located, we can help know what to do with your pest problem when you call (707) 200-6638. People call us for all sorts of problems. If you have identified your problem and are looking for a company that handles it, we can take care of the following pests: bed bugs, cockroaches, spiders, fire ants, fleas, silverfish, beetles, wasps, carpenter ants, sugar ants, crickets, roof rats, Norway rats, house mice, voles, moles, squirrels, gophers, raccoon, opossum, skunk, birds, nests, dead animals, and you can get a quote for any of them at (707) 200-6638. To handle all of these insects and animals, we do bug sprays, fumigation, exterminations, baiting, trapping, cleanups, and removal. Get in touch with us to get any of those services handles for you. 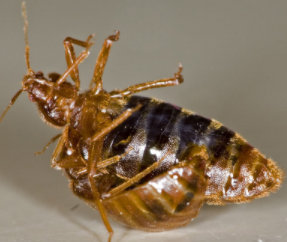 Bed bugs are one of the major nuisances and reasons for people to call our company. Unfortunately, they are pretty powerful in large numbers. If you have bed bugs, you either need to get them exterminated and treat the problem immediately, or face a war down the road. Bed bugs are an ultra resilient pest. They can withstand most bug bombs and sprays, and the worst part of bed bugs, is the eggs they lay. Even if you think you have killed all the bed bugs in your home, if you didn't take care of the eggs. ​they will inevitably come back again. You have to get rid of the bugs at all stages to truly get rid of them. Roaches are ugly bugs that like to hide in dark spaces around your home. They’re mostly found in moist, hot climates and like to hang out nearby a food source, such as your trash. Once they make their home in your house, it’s difficult to get them out without the help of an exterminator! And you will want to get them out, because cockroaches bring bacteria and strong allergens along with them. For effective cockroach control and removal, you have to take care and get rid of them over a sustained period of time. We’re experienced in handling all types of roach infestations, from German cockroach and American cockroach nests to Palmetto bugs. We love our household pets, but sometimes they can bring along some unwanted guests to the house. Fleas are one of the worst little pests that catch a ride into the house. They don’t always come in on pets, but it’s one of the most common ways to bring fleas inside. Once in the door, fleas bite you and your pets. They cause itching, pain, and can sometimes track in bacteria that causes worse diseases. Vallejo Pest Control knows how to get rid of all stages of fleas. It’s not enough to concentrate on ridding the house of only adult fleas, because leaving the eggs behind will just bring the problem back again. Call (707) 200-6638 to have our rodent control technicians take care of any types of pests you have trouble with. Along with the more obvious problems of damage to your home and food spoilage, rats also bring play host to other problems you don’t want. They can carry a myriad of bacteria that spreads around your house, but they also may pick up fleas and other parasites and spread them to your house as well. To take care of rats for good, you’ll need effective rat traps to take care of existing rats and long-term rat control measures to prevent future infestations. Whether they be roof rats, or norway rats, we'll get rid of them for you and keep them out. If you see one mouse in your house, it’s likely there are more that you haven’t seen yet. These pesky little critters get into everything from bags of food to open wires and garbage. Mouse traps are effective when they’re used strategically. There are a variety of types of traps to consider, depending on where the mice are and how many you’re dealing with. House mice are crafty, which is why you may not want to try ridding the house on your own. While they may not destroy your garden plants directly, moles can make a mess of your yard. They dig deep tunnels all around to find grubs and worms around the dirt. Although they won’t eat your plants (because they’re carnivorous), other rodents and pests can use the tunnels left behind by moles to get easy access to your garden from below the ground! Don’t let those annoying moles get the last word; let us help you kick them out for good. Unlike their carnivorous cousins, garden voles are herbivores that will eat your plants and roots without a second thought. They’re particularly fond of many types of bulbs (excluding garlic, daffodils, and a few others), young tree or shrub bark, and thick plant roots. Voles are not the same thing as moles, and they have to be dealt with in a separate way. That’s why our vole control can come in handy. We can help you identify which rodent is afflicting your yard and deal with it appropriately. Another tunneling menace that can destroy your yard, gophers need to be dealt with as soon as you know they’re there. If you don’t take care of them, they might destroy underground wiring, pipes, plants, and tree roots. The problem with gophers is keeping them out of your yard for good, which is something that the right rodent control company in Vallejo knows just how to do! These cute and cuddly rodents are best left outside. They might not bother you in the yard, but if they get into your house there is the potential for a lot of damage and the possibility of spending a ton of money to fix what they break. Squirrels in the attic can tear up insulation, chew roofing shingles, leave feces and urine everywhere, chew wiring, and fall into the walls. Those that get trapped in the walls might die and cause a huge stench to spread around the whole house. It's a big job getting squirrels permanently out of your house, because they are very stubborn and determined critters. Female squirrels will want to return to their nests, which means you’ll need the right kind of barriers and repellent measures to kick them out once and for all. Whether you’re dealing with black widows or daddy long legs, spiders are not something you want to run into all over your house! Some spiders are dangerous because of their venom, while others create an unwanted nuisance around the home. They set up webs around corners and tight spaces, making your home dirtier. If you have typical small house spiders, they may be helping you get rid of other pests. You might choose to do spider control measures only on parts of the home that you don’t want to encounter spiders, like the bedroom, bathrooms, and kitchen. This way, the spiders will help you eliminate even worse pests like mosquitos, fleas, houseflies, and even roaches! Plain black ants don’t usually pose a health risk, but fire ants and other biting breeds can be dangerous for your health. If you have biting ants of any kind, you need to call an exterminator right away! Even if your house ants won’t hurt you, they can cause structural damage if they build nests inside the walls of the house. Carpenter ants, fire ants, sugar ants, Pharaoh ants, and others are always a nuisance if they enter your house in large numbers. When ants find a good food or water source inside, they lay down pheromone pathways to lead other ants to those sources, eventually creating a huge collection of ants inside! Ant control exterminators can help keep their numbers down and prevent them from coming inside to make nests. Stop the ants today and call (707) 200-6638 to get a free quote. ​Beetles can be creepy little bugs to find inside, and some of them do damage to the inside of your house. Carpet beetles, especially the larvae, will eat at the natural fibers found around the house, especially woolen materials and cotton fibers. Other beetles will start chewing on natural materials your house is built with, including the wooden supports and furniture. Those that don’t harm your home might swarm when the weather gets colder or wreck your garden in the spring and summer. With the right targeted methods, beetles can be controlled in both the garden and the home. During the summer, wasps can make their nests close to your home and become a danger to you and your family, especially if you have kids. Even if you don’t have allergies, wasp stings are painful. These bugs are something you would rather avoid having around your house, whether they’re inside or outside. It’s not enough to just get rid of their nests, you have to do wasp spraying around the perimeter or your house. Our wasp exterminator crew can do the work for you and safely remove the bugs from your home. It may not be a good idea to try any wasp control measures on your own, since you may get hurt in the process. Not only do wasps sting, but they usually make their homes in high up places that can be hard to reach. Many pest control companies would ask you to call a separate service, but Vallejo Pest Control also deals with pesky animals in and around your home. 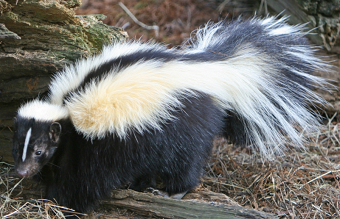 Some of the worst pest animals that might show up are raccoons, skunks, and possums, all of which like to feed on your garbage and inspect your yard. Each animal needs specialized attention to fend it away from your property. Raccoons are some of the most difficult to beat, but with the right measures even they can be controlled effectively. Our team moves fast, and does work the right way. We are very familiar and have much experience dealing with every type of pest that we get calls for. There's not much that we haven't been faced with and overcome. We get you free quotes over the phone and are friendly and can help you understand how we're going to face this problem head on for you. Call (707) 200-6638 and get in touch with our technicians.